Sports Medicine aids athletes and the physically active in faster recovery from injuries and enables them to return to the activities they love. Whether its joint or trigger point injections, our doctors are fully prepared and willing to help those who seek relief from pain. 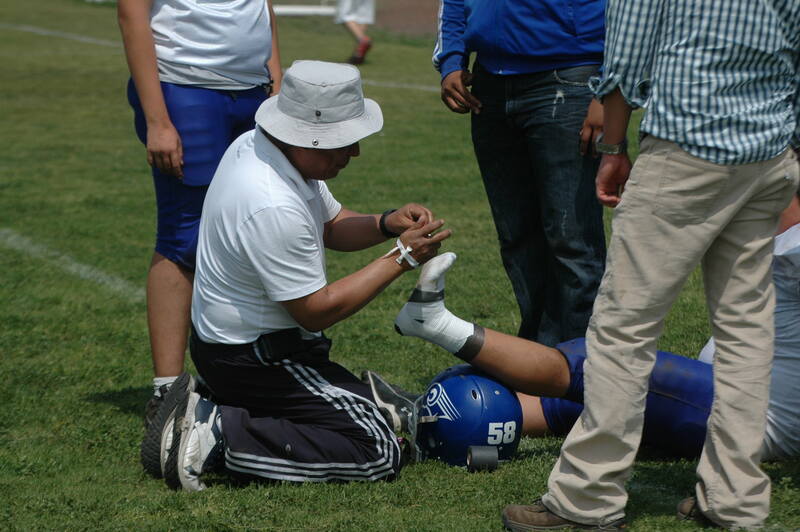 Sports Medicine also places a strong emphasis on the prevention of added injuries. PRP has strung high interest in its treatments from media reports claiming it to be a magical cure for many high-profile athletes. Athletes, who are not allowed to use performance enhancing drugs have recently started using PRP to help them heal more quickly and return full force to the playing field faster. Many famous athletes such as Tiger Woods and tennis star Rafael Nadal, have received PRP for various problems, such as sprained knees and chronic tendon injuries. In the past, these types of conditions have typically been treated with medications, physical therapy, or even surgery. Some athletes have begun to credit PRP with enabling them to return more quickly to the playing field. PRP is a Planet Rich Plasma which is blood plasma that has been enriched with platelets. PRP, which is a concentrated source of platelets contains several growth factors for healing. This treatment is the safest way to treat pain. PRP has recently become popular in orthopaedic applications, and is also used in other medical specialties. PRP injections can play a key role in the recovery process for wounds and damaged tissue. There are no side effects to this procedure as it is only the patient’s own blood being redistributed inside the body. The healing process typically takes up to 4-6 weeks. Common areas of treatment are knees and shoulders. Platelet injections are often preformed following or preceding a surgery. It can also prevent the need for surgery if it is preformed early on. Many prefer this treatment because it utilizes the natural resources of the body instead of using foreign substances. After the procedure normal activities may be resumed. 1. Blood from the patient is extracted (similar in amount to a test lab sample) and the platelet is separated. 2. This small blood sample is placed in the centrifuge machine for a spine. 3. Extract the platelets from the rest of the blood components. 3. The platelet cells are then injected into the damaged area where the growth hormones begin to repair what is damaged. Improvement may be noticed within a few weeks. It is common for patients to experience itchiness in the injected sight. Research studies have proven PRP to fully relieve pain, and allow patients to return to regular daily activites without any complications. Yes, PRP is covered by your insurance and we’ll be happy to call your insurance and get necessary authorizations. While you are in the office, your blood is drawn and then placed in a centrifuge so that the plasma is separated from the blood. Then the plasma in injected back into the injured area of your body on the same visit. How often is PRP performed on the injured area? The maximum number of times in a life for PRP in each injured area is four times. The injections are about two to three weeks a part. When do I feel the effects of PRP? About one week after the injection. Is the procedure done by a medical doctor? Yes, the procedure is done by our doctor, Dr. Farag. Can I return back to work immediately after?